Ryan S. Breininger has been a lifelong resident of Northwest Ohio. Raised in Defiance County, he graduated from Fairview High School in 1991. He completed his undergraduate studies at Heidelberg College in Tiffin, Ohio, earning a Bachelor of Science degree in Political Science and Environmental Biology in 1995. Mr. Breininger also spent a semester at the American University in Washington D.C. and part of the summer in Costa Rica in 1994. After he received his Juris Doctorate from the University of Toledo, College of Law, in May 1998, he was admitted to the Ohio bar in February, 1999. Mr. Breininger joined the firm in 1999 and is currently a partner. Mr. Breininger represents both individuals and business clients in a broad range of legal matters, including the areas of estate planning, estate administration, agricultural law, criminal and traffic representation, personal injury, domestic relations, corporate planning, business law and wrongful death. He serves privately as a mediator as well. Mr. Breininger is active in both Williams and Defiance Counties where he currently is a lifetime member of the Fairview Athletic Boosters, actively involved in the Central Local School District, and is a member of the Bryan Area Chamber of Commerce, Pheasants Forever and St. John Lutheran Church, Defiance, Ohio. He is also involved in a part-time farming operation in Williams and Defiance Counties. 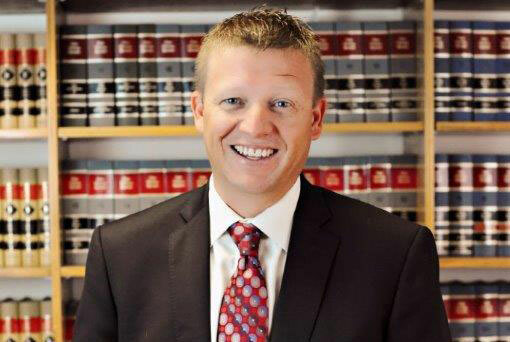 A member of both the Ohio State and Williams County Bar Associations, Mr. Breininger has served as president of the Williams County Bar Association. He is trained as a mediator through Northwest Ohio Court Mediation Services. He is also certified in Dispute Resolution by the Supreme Court of Ohio. Ryan and his three children reside in Defiance County, Ohio.